Dr. Gregory Downs, associate professor of history, and Dr. Emily Greble, assistant professor of history at The City College of New York are recipients of faculty research awards from the National Endowment for the Humanities (NEH). The grants, announced by NEH December 9, will support book projects currently in development. “The NEH fellowships are extremely competitive- only eight percent of applicants are successful. 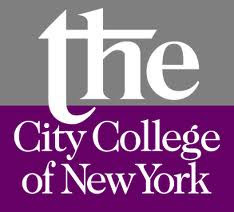 To have two early-career faculty members in the same department come up winners is remarkable,” said Dr. Geraldine Murphy, acting dean of humanities and the arts at CCNY, in congratulating them. Four Class of 2011 history majors are now in PhD programs at Yale University, Princeton University and University of Michigan. Associate Professor of History Barbara Ann Naddeo received the Rome Prize in 2010 for her scholarship on the city of Naples, Italy. Assistant Professor of History Adrienne Petty is conducting an oral history project on African-American farm owners in the South in collaboration with Professor Mark Schultz of Lewis University supported by an NEH award. Professor Downs’ project, “The Ends of War: American Reconstruction and the Problems of Occupation,” examines the transition from Civil War to Reconstruction and asks why former slaves, loyal whites, Freedmen’s Bureau agents and northern emigres became disillusioned. The problems emanated not as much from free-labor ideology or racism as from a sharp reduction of military force in the region, which resulted in a power vacuum, he contends. At the end of the Civil War, the U.S. government, fearing budget deficits, demobilized at such a rapid pace that within 18 months only 12,000 troops remained in the former Confederacy. As the military withdrew from different areas, hundreds of small wars broke out between former Confederates and organized freedmen. The project grows out of an earlier monograph, “Declarations of Independence: The Long Reconstruction of Popular Politics in the South, 1860 – 1908,” published in 2011 by University of North Carolina Press. However, Professor Downs says his thinking has been influenced by recent U.S. experience with occupations in Afghanistan and Iraq. “Seeing how difficult it is to change social power, create new lines of authority and disrupt societies makes me wonder why we were so confident we could do it in the post-war South. Rights need enforceability to make them real,” he adds, pointing to the intervention by federal troops in the Little Rock Central High School in 1957 as an example. Professor Greble’s project, “Islam and the European Nation-State: Balkan Muslims between Mosque and State, 1908 – 1949,” examines how South Slavic Muslims adapted to six significant political shifts over a 41-year period. In each instance new governments sought – in their own way – to limit, secularize and shape Muslim institutions as the region went from Ottoman to Habsburg control, to liberal nation-states, to authoritarian monarchs, to fascist regimes and to socialist regimes. Her initial research suggests Muslims proactively adapted the norms and customs of their faith to define Islam in their own terms. Additionally, they sought to become part of the international community of Muslims to confront being dispossessed of property, Sharia law, institutional autonomy and the right to define Islam. To assert their influence, some Muslims formed political parties and cultural societies that promoted Muslim cultural agendas. More conservative members of the community sought to strengthen and protect local Muslim networks through codification of Sharia law and Islamic society. Others engaged in clandestine activities such as underground madrassas. Much of Professor Greble’s research will examine the changing role of Sharia courts. Under the Austro-Hungarian Empire, these were codified and given jurisdiction over Muslim socio-religious affairs, such as marriage, divorce and inheritance. Muslim parts of the Balkans, particularly Yugoslavia, retained this legal autonomy between the two world wars and during Nazi and fascist occupation, but lost it after communists came to power and shut down the Sharia courts in 1946.